On-Demand Care services are slowly changing the way we approach our everyday lives. 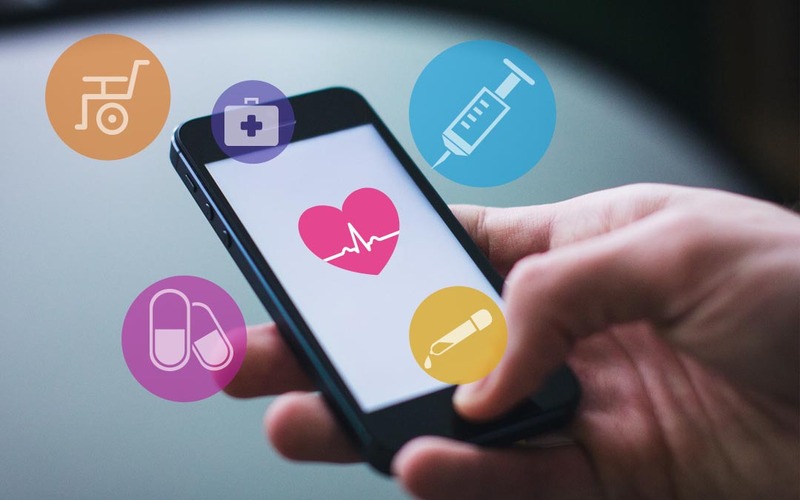 The successes and conveniences in the on-demand economy, such as Uber for transportation, and Netflix for entertainment are prompting a conversation about the application of on-demand Care platforms to service the health and aged care industry. With the global population ageing phenomenon starting to affect countries all over the world, and the baby boomer population reaching retirement, the inefficiencies and inconvenience of the traditional models in care and health delivery are becoming more prominent under surging demand. The Average per person expenditure on health in Australia rose to $6,657 in 2014 from 5,279 in 2004. In 2014-2015, 69.1% or two-thirds of health expenditure was spent on primary health care.The cost is set to rise along with the demand of care caused by the ageing population. In addition to surging health care costs associated with the ageing population structure, Australia’s 5.5 Million baby boomer generation will demand more than basic care. Independence is a major concern among Baby Boomers who grew up in the age of post-war technological advancement and economic assurance. They are accustomed to their needs being met quickly and are a generation that has provided growth in the workforce in the 60’s and 70’s. As consumers, baby boomers want to be able to have what they want when they want it, and this includes their retirement, health and lifestyle with many subscribed to the idea of “spending the kid’s inheritance”. Are On-Demand and short term aged care service the future? Is it time to Uber-fy healthcare? The Uber approach to care will be demanded by the baby boomer market, choosing to receive assistance when needed from affiliated professionals. It may also provide a basic income solution to the 2.7 million unpaid Australian carers. However, there are substantial risks involved in simply Uber-fying aged care. Would you hail an unqualified, unsupervised, unaccountable, vaguely vetted care worker, and give them the location, medical information, and how to get into the property of your frail elderly mother or father? The care industry is not transaction-based. Healthcare specifically aged care and long-term care thrives when trust and familiar relationships are built between carer and the care recipient. Personal carers must have the full confidence of family members and the care recipient, especially in times when dignity must be upheld, such as showering, bathing, and personal hygiene care which are some of the most personal, intrusive and intimate types of care. Utilising the Uber approach to aged care means giving access to the location of, and personal information to a broad audience of strangers. The approach requires the sharing of the location of frail individuals, potentially suffering cognitive impairments such as dementia, that could easily be taken advantage of, or targeted specifically for robberies or fraud. With many elderly people prescribed a range of medications they also become a target simply for the medication that is potentially stored on their premises. From a carer’s perspective, it could mean making inefficient use of their time. Having a well-planned schedule for the day rather than receiving care requests on the fly gives more time allocation to caring rather than trying to go from point A to point F then back to point B. Transportation and logistics should be considered because moving from one place to the next may cause stress and confusion to both the carers and the care recipient. Another area of concern is that of cancellations or no-show’s which in an aged care setting can be a matter of life or death. Cancellations can contribute negatively to seniors’ physical, mental and emotional health, and would do nothing to alleviate loneliness and senior isolation. With no accountability to the care recipient, it would be easy for, and tempting to cancel a job or not show up because a better offer came through on your way to a booking. On-Demand respite care also does not guarantee that the older person will receive the right amount or type of care. You can’t put a token on care like an arcade game or a jukebox. Care goes beyond just getting the right medication on time or a scheduled therapy. Care needs consistency. The key to care consistency, is accurate and detailed record keeping about care visits, tasks complete, and an understanding of the care recipient’s normal which only comes from building a carer – patient relationship over time. While reports can be submitted via a platform, there is no guarantee that the records are accurate, no consistency, and no real motivation or accountability. So, despite all this doom and gloom, how can the aged care sector adopt on-demand models of care delivery? The answer lies in enabling existing, trusted and reputable care providers with the tools and technology to offer on-demand models of care. Technology that will enable existing trusted providers, that have quality control and compliance mechanisms in place to extend their offering to cater for on-demand models of service delivery to complement their traditional care model, is the solution. The missing pieces of the puzzle are finding a solution that will enable care recipients to request services on-demand easily, and for an organisation’s labour force to be enabled with a way to opt in for out-of-hours support work. According to the 2012 National Aged Care Workforce Census and Survey, around a quarter of direct residential carers and a third of community direct care workers want 8 or more hours of additional care work per week. Care providers have a ready and willing source of labour for offering on-demand services. With the CareVision platform, your field staff can flag themselves as available for emergency and on-demand work on their days off making it easier to find emergency staff replacements and resources to deliver on-demand care. The CareVision platform also streamlines the process of sharing pertinent information about the care recipient with the carer allocated to the job. So the remaining challenge for care providers is engaging care recipients and their family with a platform that empowers them to be able to request on-demand care services. With the average 65-year-old watching almost 6 hours of television a day, the CareVision Television is an ideal platform for this while also fulfilling the needs of daily living reminders, communication, entertainment and cognitive training for wellbeing. With the CareVision platform, your care organisation can make the match. By offering existing care recipient networks an on-demand model of care, organisations can meet the market demand, increase their profitability, and maximise client and staff retention. To learn more and see the solution in action contact us today 1300 324 070.